Practo Tab — Now With Consent Forms! 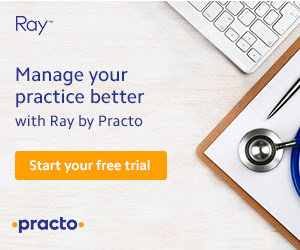 The Practo Tab was born as the perfect companion for Practo Ray — a means to ensure that doctors would have an all-round solution to practice management. Today, we are further improving the usefulness of Tab by adding patient consent forms to it. The purpose of the form is to acquire consent from patients before they undergo any treatment. Doctors ought to always have consent forms on hand to make sure they would not have to deal with any liability issues after a patient has been treated by them. Medico legal cases could come up as a result of any injury, ailment, or even death that occurs while medical care is being administered. 3 out of 10 doctors are faced with a medico legal issue every year. By having patients sign the consent form, the doctors are protecting themselves. Consent form on Practo Tab will completely digitise your practice. Now everything you need is available at your fingertips, making it more secure, as well as allowing you to go paperless. It was easier for paper forms to get lost and misplaced and for you to not have the right form on hand at the right time. Now those problems will go away as everything gets digitised and readily accessible. Adding the consent form to the Practo Tab is a simple task. The ‘Consent Form’ icon is available on the patient home screen. You can either click this or select ‘Patient Records’ and from there go to ‘Files & Forms’ to open the same. Here, you can either create a new Consent Form or select one that is already there. Click on the ‘View’ icon to see a Consent Form or click the title to create a new one. When you select a patient, their details are automatically filled up. Collect the patient’s and doctor’s signatures. You can also ‘Print’ and ‘Email’ the Consent Form once you have finished adding all details. Consent Form can be viewed in the ‘Patient Records’ under ‘Files & Forms’. Introducing the Consent Forms Editor! We know how important Medical Consent Forms are to your practice. We now have an easy way to create your own consent forms — with the Consent Forms Editor. What is the consent form format? Patient consent, the terms and conditions to which the patient must agree.